Big announcement from DC and WB just now, involving Geoff Johns’ new role with the companies. From a comics business standpoint, he’s stepping away as DC’s chief creative officer, with co-publisher Jim Lee assuming that role. Johns will focus on his writing and screen production efforts. Jason Fabok art from 2016, including images by Jerry Robinson, Greg Capullo and Brian Bolland. GEOFF JOHNS TO EXPAND CREATIVE ROLE BECOMING A FULL-TIME WRITER/PRODUCER FOR FILM, TELEVISION AND MORE; EXCLUSIVE TO DC AND WARNER BROS.
Set to Launch Mad Ghost Productions Based at Warner Bros.
(Monday, June 11, 2018 – Burbank, CA) — Geoff Johns is launching Mad Ghost Productions and is entering into an exclusive writer/producer deal with Warner Bros. and DC Entertainment to create content across multiple divisions of the Studio, including films, television and comic books, based on current DC properties as well as new and reimagined IP. As part of this deal, he will segue from his executive post as President and Chief Creative Officer of DC Entertainment to focus on creative matters full-time. DC Entertainment Publisher Jim Lee will expand his role to include the Chief Creative Officer title and responsibilities, and will continue to act as Publisher together with Dan DiDio as they have since 2010. These announcements were made today by Thomas Gewecke, Chief Digital Officer and Executive Vice President, Strategy and Business Development, who is serving as DC’s interim head. Under this new deal, one of Johns’ first film projects will be Warner Bros. Pictures’ “Green Lantern Corps,” based on his New York Times bestselling series that saw an impressive nine-year run, spawning additional spin-off titles and comic book events. Johns will write and be a producer on the film. Additionally, he co-wrote and executive produced “Aquaman,” which releases worldwide December 21, and is writing and executive producing the second installment of the “Wonder Woman” franchise with director Patty Jenkins, releasing in November 2019. New Line’s “Shazam!,” slated for an April 2019 release, is based on his original graphic novel. On the television side, Johns co-developed and is executive producer and writer on the first original series for the upcoming DC Universe digital service, “Titans,” with Akiva Goldsman and Greg Berlanti. Johns also wrote the “Titans” episode “Doom Patrol” that is spinning off into its own 13-episode original series for the digital service. He is executive producing alongside Berlanti, Sarah Schechter and Jeremy Carver. He has also been crucial in helping build the DC television empire and co-developed The CW’s most successful superhero show, “The Flash.” Alongside Peter Roth and WBTV, he has helped launch over a dozen additional hit television series such as “Arrow,” “Gotham,” “iZombie,” “Supergirl” and “Black Lightning,” among others. His publishing projects will include a new pop-up slate of comic books under the banner of “The Killing Zone” focusing on new and lesser known DC characters and titles. Johns will also be writing a Shazam! comic book series scheduled to be out in the fall. In addition, he will continue to write the commercial and critical hit “Doomsday Clock,” a comic book series illustrated by Gary Frank that collides the DC universe with the Watchmen universe, as well as the upcoming “Three Jokers,” illustrated by Jason Fabok. As one of the most successful comic book writers of his time, Johns has built his career on re-inventing dormant characters to commercial and critical successes as seen with “Green Lantern,” “Aquaman,” “Teen Titans,” “The Flash” and “Shazam!”, among others. His gravitation toward lower-level characters with unexplored and untapped potential has led to Johns currently holding the No. 3 spot on the 100 most prolific DC comics writers list next to comic book legends Robert Kanigher and Gardner Fox. Johns’ impressive career history dates back to his beginning as an assistant to filmmaker Richard Donner. He established himself as a successful writer and rode the ranks to become President and CCO of DC Entertainment while simultaneously creating some of today’s most popular film, television and comic series. Revealing Joker’s real name would cause irreversible damage to one of the pillars of the Batman mythology just as having Joker learn of Batman’s identity would do/has done. It may sound like a great story idea with the side effect of boosting revenue, but in the end, you’ve ruined a credible & lasting continuity that was based upon the true literary nature of their adversarial relationship, which is that they each symbolize evil & good and that’s the only way they should identify with each other. Batman pursuing Joker because of his extreme evil doings usually never involves trying to find out who he is – it almost doesn’t matter to Batman as stopping him is the main goal. Joker committing his brand of mayhem & occasionally almost finding out who Batman is, keeps the edge needed to sustain the franchise. 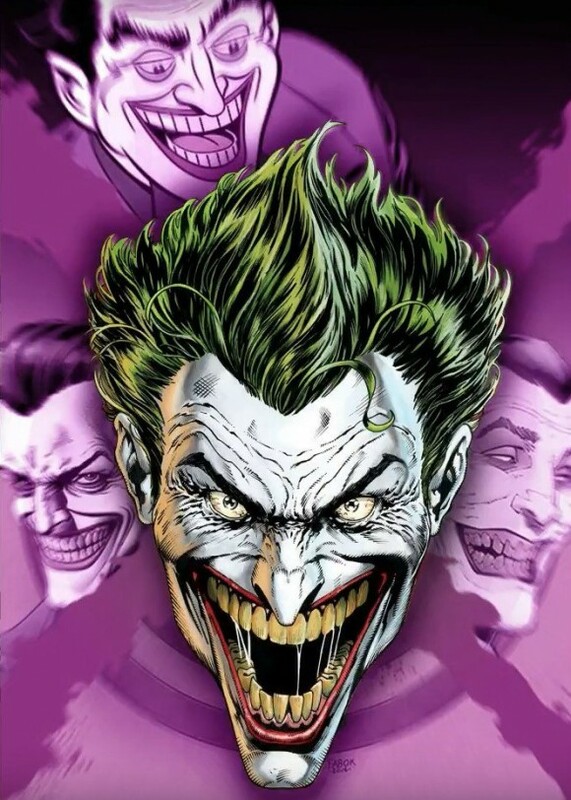 Now, a tale involving 3 Jokers from perhaps three different DC continuities, sounds intriguing enough on it’s own. That part sparks my curiosity. Especially if one of them is the original Earth-Two Joker! Don’t think we ever found out whether or not he died in COIE. This is a good point. Creating a civilian identity for the Joker humanizes him, and creates empathy for him. The Joker works best when he’s a force of evil nature that is more than human. I suspect this is driven by an ego that demands they take ownership of the character by “updating” or, “modernizing” a classic character. I’m sorry but you guys didn’t invent these characters. You can’t change that. Leave the canon alone. Enjoy your time with the characters and know that the day will come someone else will get their turn. So, don’t go breaking what isn’t broken. Respect the history.